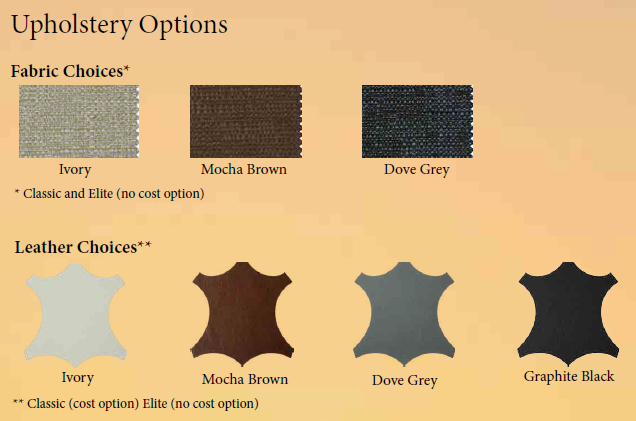 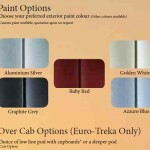 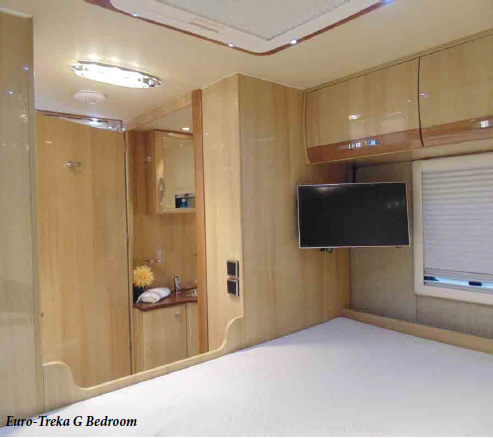 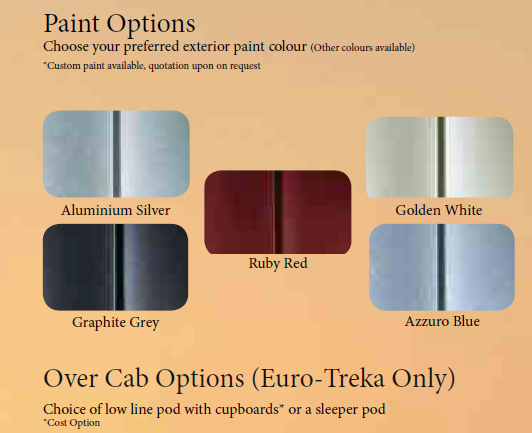 The Euro-Treka G comes with the new slideout living area feature which provides the ultimate in luxury travel. 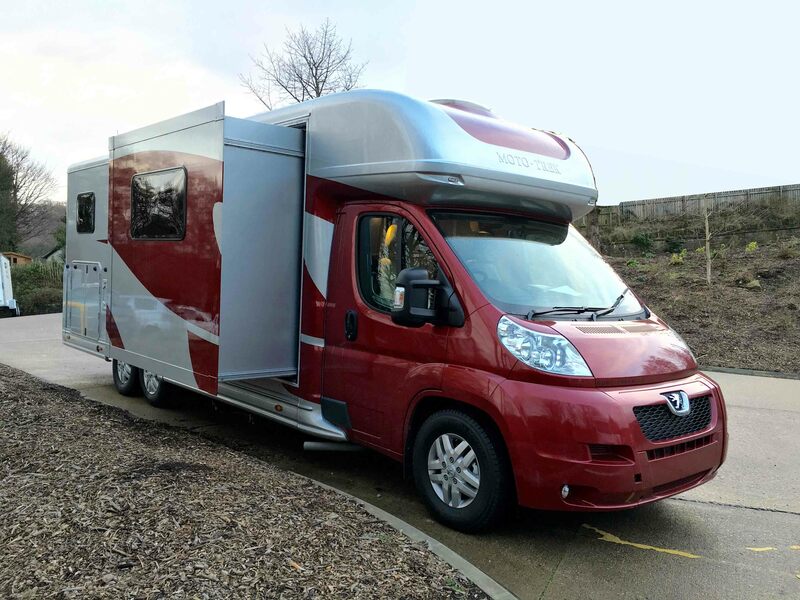 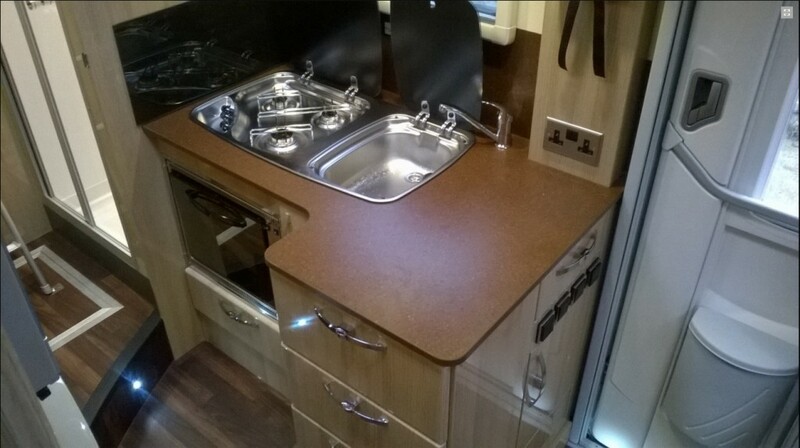 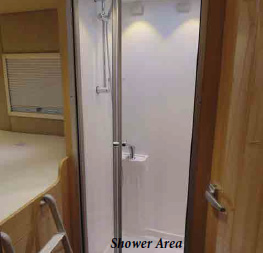 It has a large garage area which can accommodate all your leisure equipment and is accessible through wide double doors which are on either side of the motorhome. 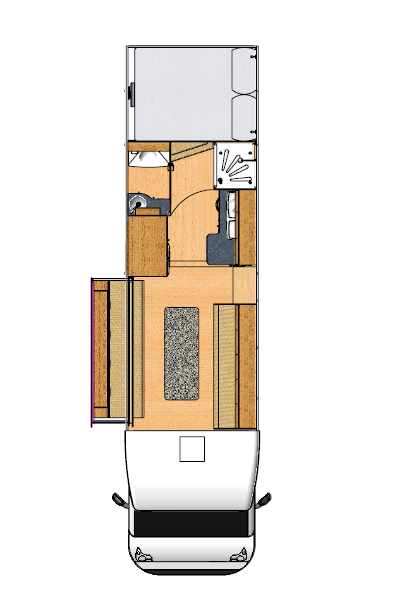 A double bedroom is situated on top of the garage. 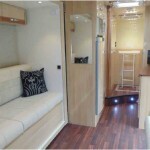 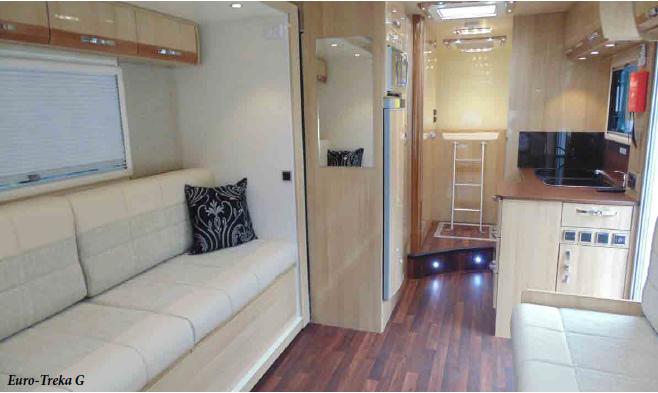 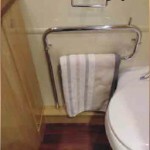 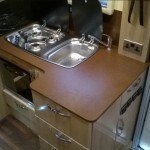 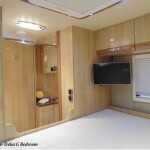 There is also generous sized fixed rear double bed situated above the cab. 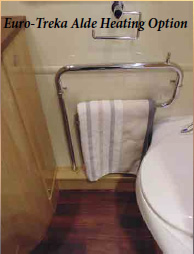 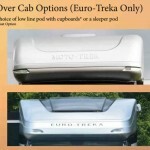 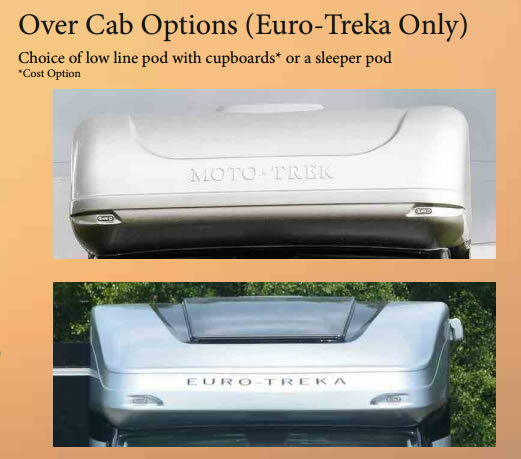 The Euro-Treka G can sleep up to six in comfort.